The Italian Cultural Foundation of South Jersey that was formed 2008 to conduct charitable and educational activities and to provide education regarding the history and culture of Italy and the role of Italian-Americans in the development of the United States. The Italian Cultural Foundation of South Jersey is a not-for-profit organization that was formed 2008 to conduct charitable and educational activities within the meaning of Section 501(c)(3) of the Internal Revenue Code, and specifically to provide education regarding the history and culture of Italy and the role of Italian-Americans in the development of the United States. The organization conducts educational presentations, provides Italian language classes and hosts cultural events. As Italian-Americans, we are extremely proud of our heritage. Past generations of Italian-Americans used their ingenuity, intellect, hard work and sacrifice to build a solid foundation for the generations to come. They demonstrated that love of family and dedication to community are essential to our existence. Italians also excel in arts and sciences including painting, opera, medicine, philosophy, architecture, language, and so much more. The torch has now been passed to us to teach and share our great legacy and achievements. We must accept responsibility for preserving our heritage by becoming a beacon for classic and modern Italian culture and passing our pride, experiences, knowledge, traditions and skills to future generations. 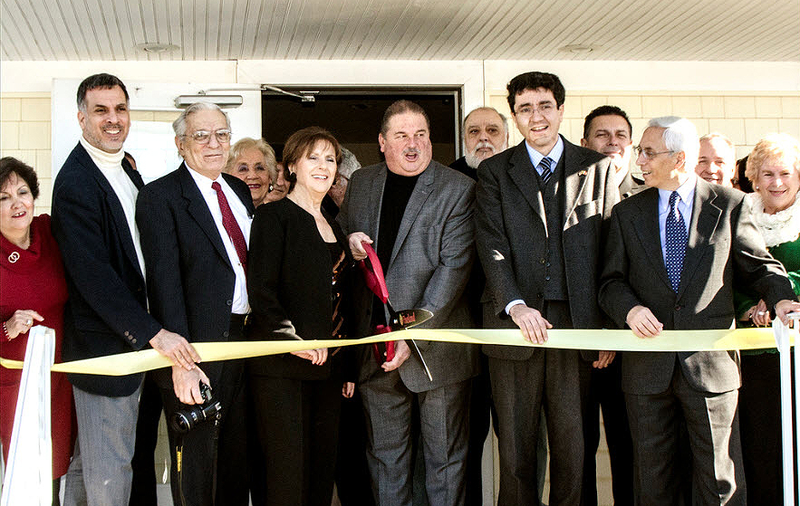 The Italian Cultural Foundation of South Jersey, Inc. (ICF) was founded in 2008 by the Sicilian American Club of South Jersey. ICF is as an independent educational, not-for-profit organization under Section 501(c) (3) of the Internal Revenue Code to provide education about the history and culture of Italy and the role of Italian-Americans in the development of the United States. The Italian Cultural Foundation is dedicated to promoting the knowledge, understanding and appreciation of Italian culture – its attitudes, beliefs, customs, traditions, music, food, language, art and achievements – so that we may preserve this precious legacy for future generations. Each year we conduct cultural presentations, Italian language classes and cultural events. The ICF’s activities and programs are open to all people regardless of age, gender, race or religion. Cultural presentations detailing the impact the Italian culture has all over the world. This program featured a variety of topics ranging from historical Italian achievements in medicine and the origins of modern banking in Italy during the Renaissance to Italian cooking and opera. Scholarships to graduating students of Vineland and Delsea Regional High Schools, and our Italian language classes are very well received by the community. We have fall and spring sessions for the beginner and intermediate level. ICF also supported an Italian non-profit organization that operates four centers for children and young adults with Autism in the Abruzzo region of Italy. An earthquake in 2009 completely destroyed one of these schools in the city of L’Aquila, and our donation helped drive their recovery.The most significant accomplishment has been to purchase in 2013 a building as a Home for the Italian Cultural Foundation. It was the dream of the Sicilian American Club for the past twenty- five years. That dream has become a reality.We have just begun, and we are excited at what we can accomplish. Our Italian-American community is comprised of extraordinary individuals who have achieved a leading role in the southern New Jersey community through hard work and strong moral values. Our educational programs provided by members of the ICF will be open to anyone interested in learning about the many components of Italian culture – language, food, customs, etc.